Goodreads says, "I read once that water is a symbol for emotions. And for a while now, I've thought maybe my mother drowned in both. Anna's life is supended when her father accepts a job transfer the summer before her junior year. It's bad enough that she has to leave her friends and her life behind, but her dad is moving them to the beach where her parents first met and fell in love- a place awash in memories that Anna would just as soon leave under the surface. While life on the beach is pretty great, with ocean views and one adorable lifeguard in particular, there are also family secrets that were buried along the shore years ago. And the ebb and flow of the ocean's tide means that nothing- not the sea glass that she collects on the sand and not the truths behind Anna's mother's death- stays buried forever." Anna's dad gets a transfer to Crystal Cove, a beach community in California. It's the summer before her senior year and she isn't too keen about moving away from her friends and more importantly, the place where she grew up and made many memories with her mother who is now deceased. Plus, Crystal Cove is the place where her parents first met and Anna knows she will have to face even more memories and family secrets, whether she is willing to or not. Although the ocean front cottage they move into is incredible and she seems to be adjusting to Crystal Cove, Anna finds out the truth regarding her mother and many things she'd rather not face. 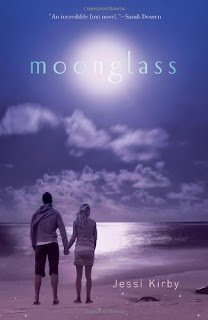 Jessi Kirby's debut, Moonglass, is more than just a beach read; it is a powerful story of life, loss, and allowing yourself to move on. First of all, the setting, Crystal Cove, is to die for. Can I please live there? I was so enthralled by every description. There's fishing, surfing, looking for sea glass, walks on the beach, swimming, waves crashing, moonlight coming off the ocean, etc. It's idyllic. Crystal Cove is definitely one of my new favorite settings. 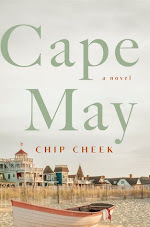 If you are a beach lover, you will thoroughly enjoy this setting and if you aren't convinced just look at the gorgeous cover. Anna is a great character. I enjoyed that she was a bit of a tomboy. 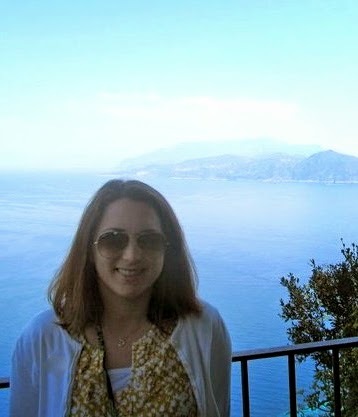 The beach bum in me really enjoyed her willingness to surf, swim, fish, and jump off cliffs. I loved that about her; Anna is definitely my kind of girl. On the other hand, Anna is suppressing a lot of emotion surrounding her mother's death. It was hard for her to open up and really face things, but as Anna's character develops, she learns a lot about life and love. So, she isn't just this carefree surfer girl; there is definitely more to her. The romance was pretty PG in this book, which is a good thing as I will definitely be putting Moonglass on my classroom library shelf. Tyler, the lifeguard and love interest, is an adorable and sweet guy. At first, he's off limits as he works for Anna's dad, but as the story progresses so does their relationship. If you are looking for something super steamy, you won't find it here, but I didn't mind that or the fact that it was a tad predictable. Anna's relationship with her dad was also something I liked. It's not often that there are many positive father-daughter relationships in YA literature, but I really thought Kirby did a good job capturing a caring one in Moonglass. I was happy to see that her dad was a big part of her life and kept an eye on her. Many parents in YA literature are just absent or let their children run crazy, but Anna's dad is a good guy who is trying to do his best as a single parent. I'll definitely be reading the next novel that Kirby writes. I enjoyed her writing style and after all, Sarah Dessen wrote the blurb! I also love that Kirby was an English teacher (YAY!) and also gives shout-outs to her former teachers that influenced her. I love that! With that said, if you are looking for a beach read with substance and a good message, then you must pick up Moonglass this summer. Now if only I could plan a trip to Crystal Cove! I love the sound of this one! I love coming of age stories with beach settings, and this one sounds pretty special! You have me wanting to experience Crystal Cove. Great review! I have been looking forward to reading Moonglass since it came out, but haven't gotten around to it yet. What first drew me to it was how pretty the cover was! Thanks for posting, you make me want to read this book that much sooner! This really does sound like a great summer read, I'm going to have to make sure and get a copy before the fall comes back around! This really sounds like a good YA read. It sounds like there are so many positive things about this book. Thanks for the great review. I haven't read a book with a beach setting in awhile. It is the perfect time right?